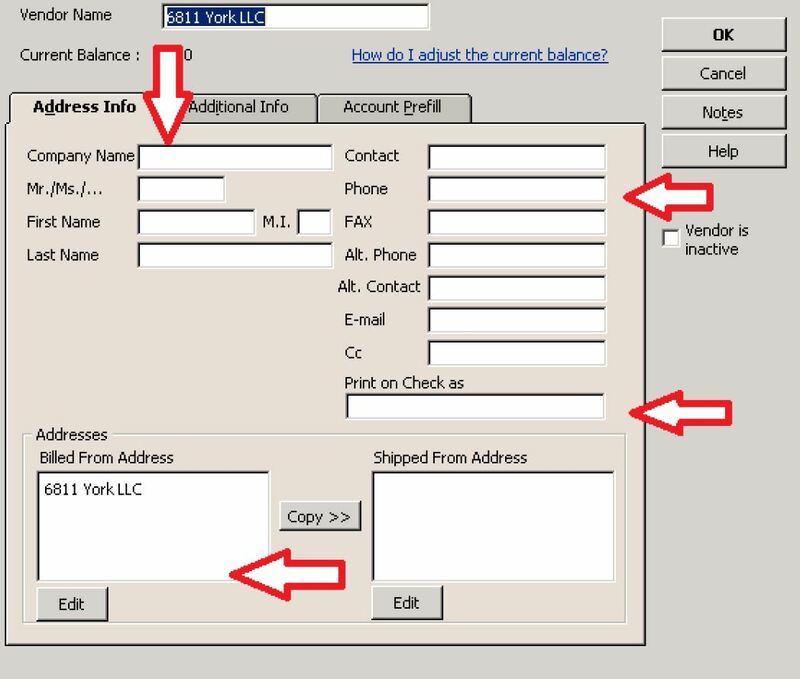 There is one more required piece of information – the account number you have with the vendor. This cannot be blank and must not contain special characters “& , “ etc. Otherwise this will cause QuickBooks to crash. Next, click the Additional Info Tab shown below. You MUST have an account number filled in (this is the number the vendor assigns to your account, for example a Verizon account number or a Comcast account number). This will print on your check to ensure proper credit to your account. If you don’t have one, enter your name or something so that vendors will recognize your payment. It is also highly recommended (but not necessary for bill pay) that you enter the vendors Tax ID. 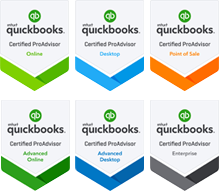 This greatly reduces effort required for end of the year 1099 printing and E-filing directly out of QuickBooks!! You’re almost done! Go to the Banking Menu, select Bank Feeds -> Bank Feeds Center. Review the informational messages advising when the check will be received by the vendor, click ok. When you’re done, click “Send Items” and enter your pin. 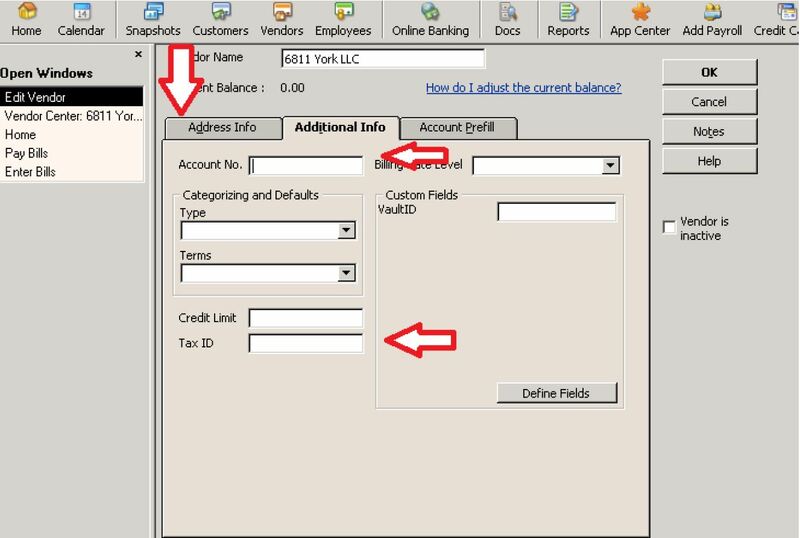 Note the picture below for an image of how to connect to the bill pay app from within the “Banking Feeds->Bank Feeds Center” menu. will not get a dialog box asking you to “acquire exclusive use” because you essentially have it by default. The problem with not acquiring exclusive use or using the vendor->bill pay is so common, we felt it important to show a picture of a register when bill pay is executed without the user acquiring “exclusive use” first. There are two types of “bill payments” shown in this client’s register. One is WRONG, and is posted as if the user will issue a physical check. If the user doesn’t print and send a physical check, this payment will not be processed. 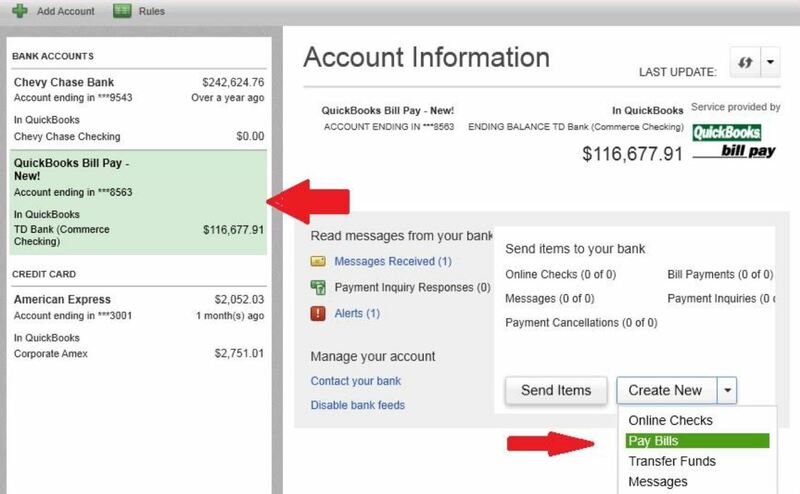 The bill payments with the lightning bolt are CORRECT and are posted by Intuit Bill Pay. They have been successfully released to bill pay and payments will be printed and delivered to the vendor. If the above happens to you, you must DELETE the WRONG check bill payments and follow the correct procedure below to initiate the online bill pay. Also, it is important to check your message center in bill pay. If for any reason, one of your checks is returned due to being undeliverable, it will be destroyed by the bill pay center and you will be notified via your inbox in the banking feeds center right inside of Quickbooks. You’ll need to correct that vendors address and re-issue a check. Lastly, keep in mind that voiding a check in your QuickBooks register does NOT necessarily void it in bill pay after it has already been sent. You should call them at 800-462-6765 and give them your account number so they can see if the check has already been sent and cancel it on their end. You have until close of business the same day it’s released to generally effect a cancellation of payment.